If blazing-fast download speeds aren’t enough, new reports suggest Google Fiber subscribers might be receiving a new 4K set-top box on top of it. According to an FCC filing discovered today by Business Insider, Google is cooking up a 4K UHD wireless set-top box – one equipped with Bluetooth 4.1 and dual-band Wi-Fi. Oh, and the document reports that the set-top box will have access to YouTube in 4K, too. A 4K wireless set-top box with access to YouTube and potentially a half-dozen other streaming services that runs off Google Fiber? It’s like a dream come true. 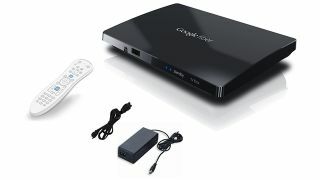 The report filed with the Federal Communications Commission here in the US also includes confidential photos of the device (the image above is the original Google Fiber TV Box), as well as a user manual, which is leading many to think that the set-top box could be coming sooner rather than later. So what why is a wireless set-top box so special? Well, first off, it’s not just a wireless set-top box – it’s a 4K wireless set-top box. One that could very likely be capable of HDR. What makes it special however is that you won’t need to connect it via coaxial or ethernet to your modem or router – meaning you won’t need to string wires all throughout your house. The only problem here is that Google’s new set-top box will only be available for Fiber subscribers and Fiber, as anyone who lives outside the 11 supported cities can tell you, is hard to come by. No Fiber, no 4K set-top box from Google. Of course, this is in comparison to the firm’s Chromecast Ultra or Amazon’s 4K Fire TV, which don’t work as a set-top box and function merely as a streaming video player using sources like Netflix, Vudu and YouTube as input. So when can you get your hands on one if you’re fortunate enough to live in an area with Google Fiber? Well, those confidential photos and documents will become publicly available on August 8, 2017, so it’s extremely likely we’ll hear something about it before then.